Bunnies will soon be hopping, and, before you know it, little girls all over the city will be skipping down the aisle, wearing pretty white dresses, communion crowns, and veils they chose by themselves. Well, maybe with a little help from mom. Communion season is something we always look forward to. There’s nothing like helping little girls try on veils and glittering crystal crowns. We’d love to help your daughter (or niece) find just the right communion accessories from among our collection for her first big day! 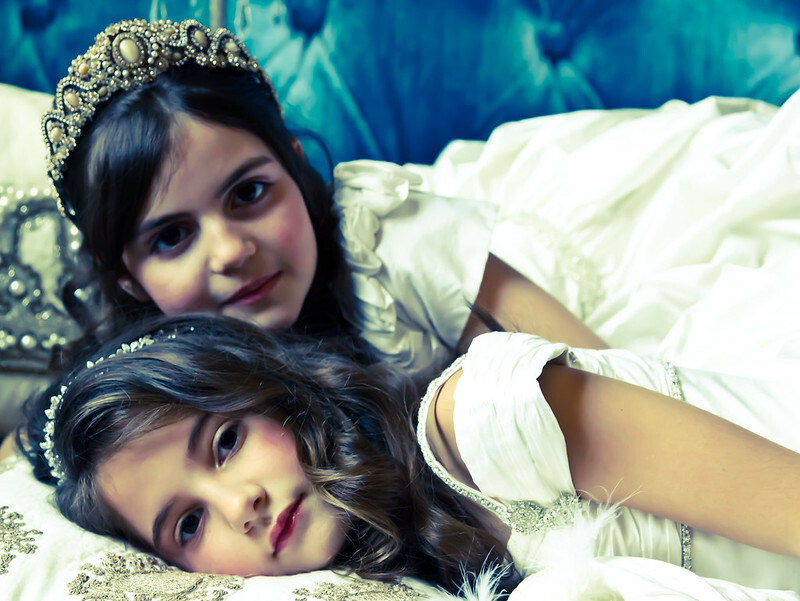 To find your little girl’s communion headpieces and veils, visit our Brooklyn boutique! This entry was posted on Wednesday, March 5th, 2014 at 3:16 pm	and is filed under Announcements. You can follow any responses to this entry through the RSS 2.0 feed. You can skip to the end and leave a response. Pinging is currently not allowed.